The pituitary gland is a very important pea-sized gland situated at the bottom of your brain in a region called the sella. The sella is located almost directly in the middle of your head. The pituitary gland is responsible for secretion of hormones that regulate many essential bodily functions such as: growth and metabolism, thyroid function, stress response, male/female sexual organ function, pregnancy, lactation, sleep cycles, and others. Occasionally benign tumors (and rarely malignant tumors) can develop in the pituitary gland. Very rarely, cancers from other parts of the body can metastasize (spread) to the pituitary gland. If these growths extend outside the confines of the sella, problems with vision can occur by pushing up on the optic nerves. In addition, tumors can affect the pituitary gland’s function, resulting in various forms of hormonal dysfunction involving the mechanisms listed above. An endocrinologist medically manages pituitary gland dysfunction, while surgery is the joint responsibility of a neurosurgeon and ENT specialist (otolaryngologist). If you have a pituitary tumor and your team of physicians agrees that surgery is appropriate, your doctor at Suburban Ear, Nose, and Throat will operate in conjunction with the neurosurgeon to remove the tumor. 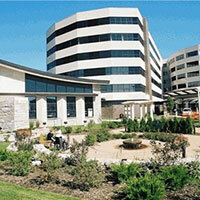 Our job is to give the neurosurgeon access to the pituitary lesion so that it can be biopsied and/or removed. Because of the relationship of the sella region to your nose, we gain access to the tumor by going straight through your nose and sinuses! While this sounds scary, it is actually a very safe and effective approach. 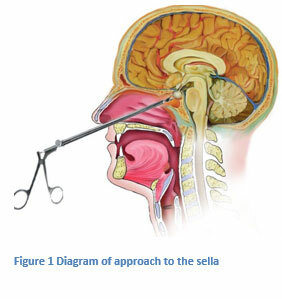 There are two main techniques to offer access to the sella region – endoscopic or trans-nasal/trans-septal. 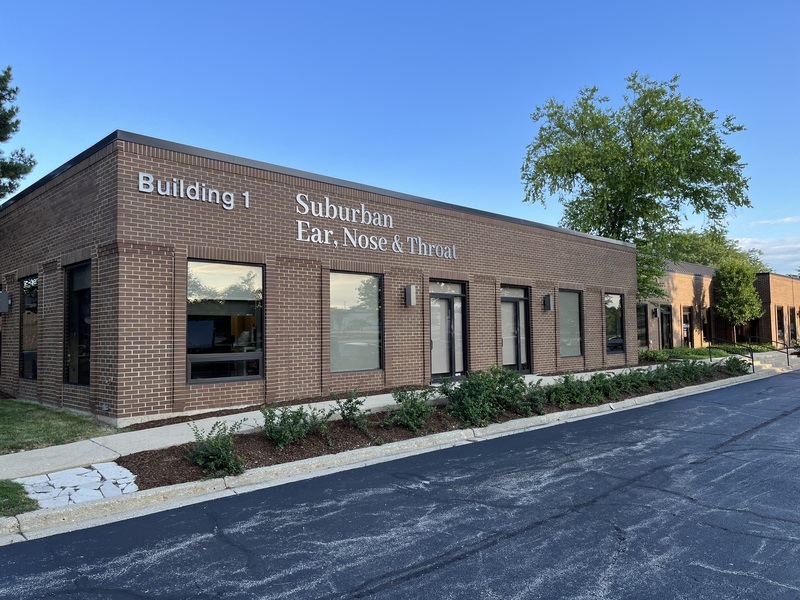 Depending on the preference of your neurosurgeon, we at Suburban Ear, Nose, and Throat can provide either approach. If you have a pituitary tumor, your doctor will be happy to answer all of your questions.